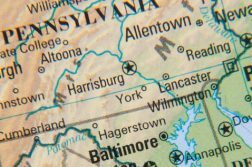 The state of Pennsylvania legalized online gambling in 2017, and it more than likely will move forward with launching internet casino games this year. 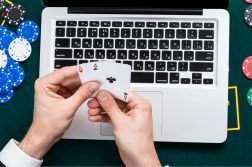 On Monday, the Department of Justice issued a new legal interpretation of the 1961 Wire Act in a politically-motivated effort to delay states offering legal online gambling. The memo effectively came at the behest of Las Vegas Sands, the largest developer of brick-and-mortar casinos in the world, and its chairman and CEO, Sheldon Adelson. Prior to the release of the poorly-argued legal opinion that doesn’t carry with it the force of law, all signs were pointing to a spring launch of online casino/poker in the Keystone State. That could potentially be delayed, but there’s also a solid chance that the memo will do nothing to Pennsylvania’s timeline. After all, the state technically began online gambling last May, with the launch of internet lottery games. A spokesperson for the Pennsylvania Gaming Control Board issued a short statement to Penn Bets. That review of the memo could potentially delay launch, but perhaps not. Time will tell. The good news is that it is clear Pennsylvania plans to fully implement the 2017 law that amended the state’s Gaming Act to legalize online casino and online lottery, among other forms of state gambling expansion. A source at a company set to be involved in Pennsylvania’s online gambling industry told Penn Bets on Tuesday that the state’s launch of online casino/poker isn’t likely to be delayed. Companies have already ponied up more than $100 million on regulatory approvals to offer interactive gaming, and Pennsylvania has no interest in giving up that money. Another state that provides a good gauge on the impact of the opinion is Michigan. Lawmakers there are expected to move forward with an online casino bill that cleared the legislature in 2018 but was surprisingly vetoed by the governor just a few days before he left office. Michigan has had internet lottery offerings since 2014. While the momentum in Michigan and Pennsylvania more than likely won’t be stopped, the revenue that those respective industries generate could be impacted by the DOJ opinion. Same goes for the existing online gaming markets in Nevada, New Jersey, and Delaware. That’s because payment processors and banks might be even warier of involvement in an industry that is now opposed by the feds but supported by states. States’ rights will ultimately prevail, but that might be a ways off. This potential negative impact on the industry more than likely will not slow down the two aforementioned states. However, it could complicate things in states that have not progressed nearly as far on the online gaming issue. New York, which has inched closer to online poker for several years, might be one of those jurisdictions. There’s an online poker bill on the table right now in New York. As always, it’s worth remembering that black market online casino gaming is happening across the country.